As a young inner city teacher, Michael Serra motivated his students by engaging them in fun creative activities while they discovered all the properties of geometry. Students used traditional geometry tools along with patty paper, mirrors, string, balloons, and even Chinese take-out cartons. His students, working in cooperative groups, explained their reasoning behind their geometric discoveries first to their group mates and then to the entire class. Michael developed his own classroom curriculum, field testing and refining the material until he saw success with his students and support from his colleagues. This material evolved into his innovative textbook, Discovering Geometry. 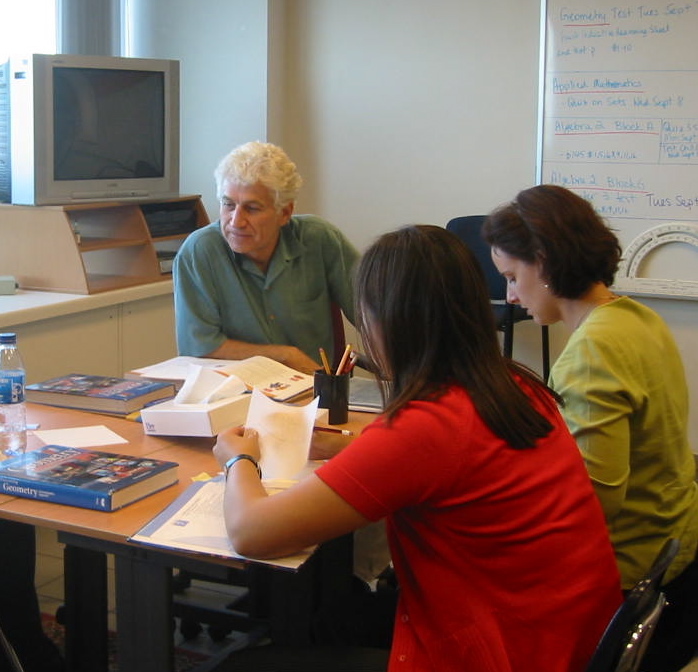 Michael has been a mathematics educator for over 45 years. He taught high school mathematics in San Francisco for more than 30 years, serving as a district mentor teacher to colleagues and as a master teacher to numerous student teachers. He received his BA in mathematics at San Francisco State University and his MS in mathematics at Holy Names College. Michael was the lead presenter at the Discovering Geometry Summer Institutes and taught geometry to prospective elementary school teachers at San Francisco State University. Since 1989, Michael has been offering professional development for teachers interested in pursuing a discovery approach to geometry. He is a popular speaker at state, regional, and national mathematics conferences in more than 40 U.S. states and five countries. He was hired as a mathematics consultant to school systems in more than 25 states, the Department of Defense, and St. Croix in the U.S. Virgin Islands. Michael also volunteers as a “Mathemagician” for fifth graders. He creates exciting mathematical games and puzzles, allowing the students to experience advanced mathematics before they are formally introduced to them in later grades. Michael has published articles in numerous math newsletters and journals. In addition to his critically acclaimed textbook Discovering Geometry, he has created the Discovering Geometry Video Series for use with his textbook and other videos that focus on geometry projects. Michael has written nine supplemental books (five Mathercise books, Patty Paper® Geometry, What’s Wrong with This Picture?, Smart Moves, and Pirate Math).